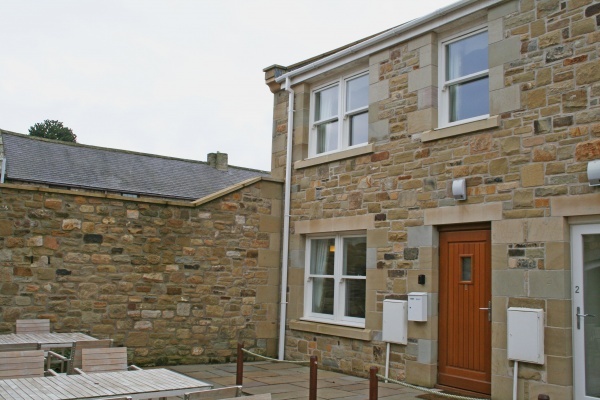 Set in the picturesque coastal village of Beadnell, This ground floor, newly built holiday home is perfectly designed for couples looking to retreat to the famous Northumberland countryside. Each generously appointed apartment offers luxury, space and comfort. Comprising a double bedroom, living room with adjoining kitchen/diner and a large bathroom with 2 person walk in shower, these newly developed apartments have been created with a luxury lifestyle in mind. 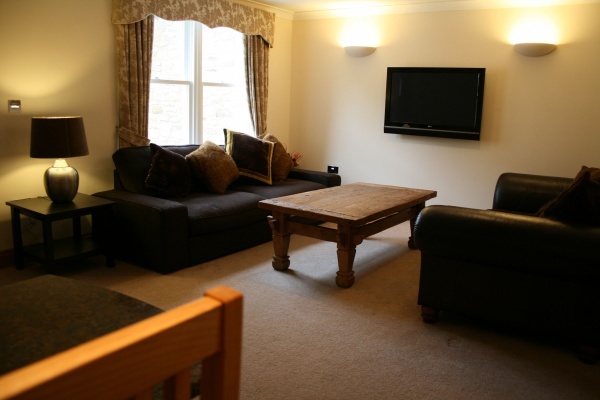 Living room with large flatscreen TV and comfortable sofas, kitchen with all modern appliances and dining space for two people. Small, fully enclosed rear garden with access from the patio doors in the bedroom. 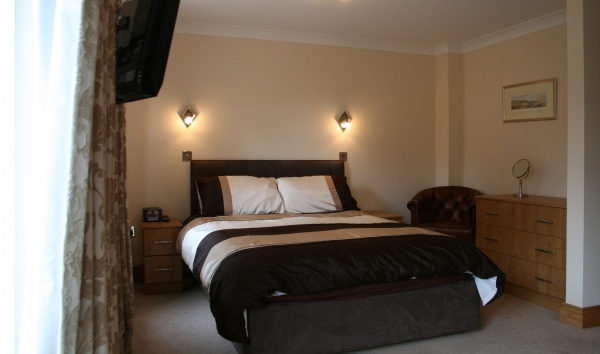 Spacious double bedroom including large wardrobes and flat screen TV. Spacious en-suite shower room equipped with large ‘sit in’ shower with CD and radio function. 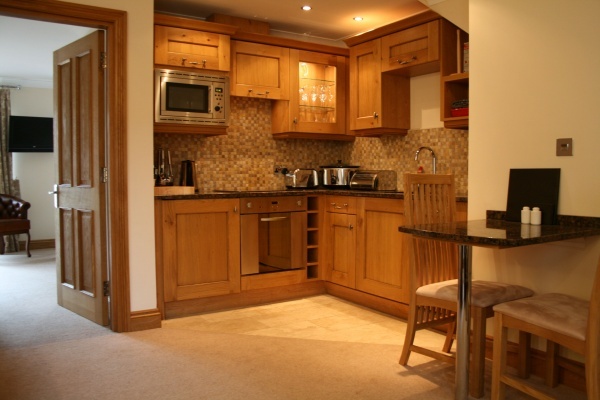 Cherry Tree cottage also benefits from access to a shared laundry/utility room equipped with a washing machine, tumbledryer, sink and ironing facilities. There is a communal courtyard to the front with outdoor furniture. TV, Radio/CD, 4-ring electric hob & oven, microwave, dishwasher, fridge freezer and WiFi. Central heating. bed linen and towels included. Shared utility/laundry with washer/dryer/sink and iron, private enclosed garden and outdoor furniture. Private off street parking. Walking, golf, boat trips, fishing, bird watching, visiting historic landmarks, water sports, horse riding.